Vitality and beauty are gifts of nature for those who live according to its laws. To listen to three of my most popular radio interviews on the international program Great Talk Radio, click below. They include motivating, empowering, and humorous discussions on all aspects of high-level well-being, natural beauty, weight-loss-made-easy, spiritual health, the healing power of color, self-esteem, balanced living, and much more! Recently, on a blog, I read a mother's touching response to her daughter when the girl asked the question, "Mommy, am I pretty?" "Beautiful means 'full of beauty.' Beautiful is not about the appearance of your outsides − beautiful is about what you’re made of. Beautiful women are women who spend time discovering what they love – what sings to them –what their idea of beauty on this Earth is. Then they make time each day to fill themselves up with that beauty." I adore this description of beauty because I truly believe that authentic beauty is an alchemy of radiant physical health and glowing self-esteem. When a woman feels happy and fulfilled, her outlook and contentment reflect in her face and overall appearance. I also like the idea that those who are beautiful "make time each day to fill themselves up with beauty." The author meant that beautiful women fill up on what interests them and lights them up, but I think the statement can equally be applied to what they literally consume. As a holistic health consultant in private practice, I know how important it is to "fill oneself up" with abundant sleep, a nutrient-rich diet, exercise, and plenty of pure, hydrating water in order to maintain the kind of optimum health that promotes a beautiful appearance. To combine emotional and physical nourishment is, in my estimation, the truest and most time-honored beauty "secret." What detracts from natural beauty? We live in a media-saturated, youth- and beauty-obsessed culture in which intervention with beauty "technology" is increasingly becoming the norm. Injections with toxic bacteria, supercharged lasers, and traumatic surgeries can certainly manipulate appearances to keep skin taut and "frozen in time," but that is hardly synonymous with filling oneself with beauty. What many consider to be "fading beauty" is oftentimes the natural course of the aging process. Aging leaves skin less hydrated and elastic, sun damage pronounced, and radiance diminished through lower-than-desired energy levels. At the same time, the stressful pace and demands of modern life can lead to premature aging. Relentless stress can cause high levels of the stress hormone cortisol, which is released by the adrenal glands as part of our "fight or flight" response to stressors. At chronically high levels, cortisol can slow normal cell regeneration, interfere with healthy endocrine function, and produce other undesirable physical outcomes including acne and hair loss. Talk about eroding natural beauty! Other lifestyle factors including a subpar diet, cigarette smoking, and excessive exposure to UV light can also lead to outward signs of premature aging. There has been much debate about the role of free radicals in the aging process in general, but a large body of research supports the idea that the oxidative stress wrought by free radicals can lead to premature wrinkling of the skin (Emerit, I). It stands to reason, then, that consuming an antioxidant-rich diet and healing foods of nature that naturally boost cell regeneration and guard the skin against damage from UV light would help promote natural beauty in the truest sense. We can't ever fully escape the inevitability of aging, but we can certainly pursue "quality aging" through dietary and lifestyle choices that preserve the integrity of our natural gifts. Beautiful skin and a healthy body first begin with a detoxified body. 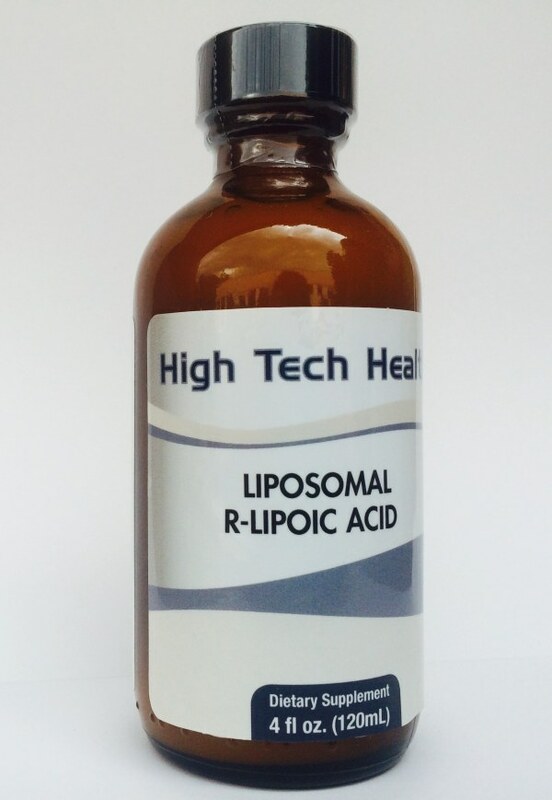 My favorite supplement for full-body detoxification is the Liposomal Detox Cocktail. Here's info on the efficacious program and how to get it. Click HERE for the science behind these three detox supplements from High Tech Health International. High Tech Health Liposomes not only deliver nutrients efficiently, but they also provide phosphatidycholine (PC), which is an essential nutrient for detoxification, cell health, and brain health. 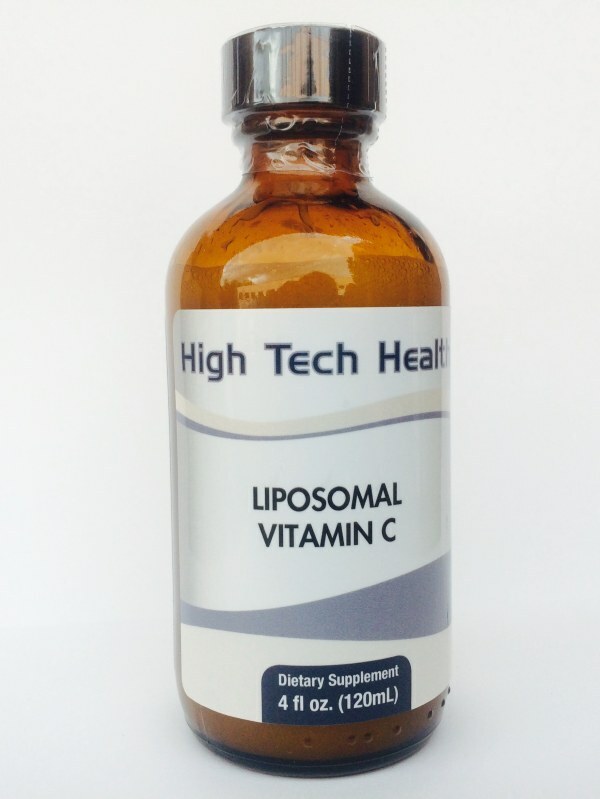 Liposomal is an encapsulation that provides efficient delivery to cells. Whether you embark on this cocktail program bi-monthly, for three consecutive months (any three months during the year), quarterly—with each change of season, or daily (as I take it), this Liposomal Detox Cocktail is the perfect regimen to detoxify, cleanse, rejuvenate, heal, and energize your miraculous body from head-to-toe, inside out. Try it for one month (30 days) and you'll see and feel a positive difference. TRANSFORM YOUR HEALTH AND LIFE IN ONE YEAR: If you can commit to taking this Detox Cocktail for 12 months, you will be amazed at how young you'll look and feel — about 10-15 years younger! Many of my clients and friends have completed one year on the Detox Cocktail, and they're grateful for their salubrious results! In just one year, you can completely detoxify, rejuvenate, and reinvigorate your body. FOR THE BEST RESULTS: When you take this efficacious Detox Cocktail (a teaspoon of each daily on the tongue or mixed in water or juice), you'll get the most benefits if you simultaneously undertake other detox practices on the days you take the Detox Cocktail. This is what I do and recommend to you: Exercise more; sweat (from exercise, an infrared sauna, or a hot bath); get 30 minutes of sunshine; drink extra alkaline water; eat more greens (salads with leafy greens, green smoothies; green juices); enjoy extra sleep; and think happy thoughts. I know of no better or faster way to cleanse/detoxify the entire body, rejuvenate your 70+ trillion cells, and to look and feel years younger than by taking the Detox Cocktail, drinking ample Ionizer Plus alkaline water, taking regular Thermal Life infrared saunas, and eat a clean, healthy, colorful diet with lots of fresh, organic produce. This is my prescription to reverse aging, quell depression, bolster energy, and create youthful vitality... no matter your age. FOR THE BEST PRICING: Since I take the products daily all year long, I purchase a 12-month supply at once (12 bottles of all 3 = 36 bottles) to save lots of money. You can also get substantial discounts when you order a 6-month supply, a 4-month supply, or a 3-month supply. With a 1-month supply, you'll get $20 off the price. With all orders, using my name as a code ("SSJ"), you'll get these whopping discounts and also FREE SHIPPING. For those of you who would like to review the scientific documentation from High Tech Health International on the efficacy of these three Detox products, please click HERE. Together, these three science-backed products comprise the perfect DETOX COCKTAIL. Taking this cocktail daily is one of the main reasons I never get sick and am full of youthful vitality and vigor. I choose to keep my body cleansed and detoxified year-round. I encourage you to do the same for one year. First time buyers get a discount, too. Some of my clients take this cocktail daily (as I do), some bi-monthly for 30 days, some three consecutive months, while others take it quarterly for 30 days, or fit in three months during the year when convenient. Adding this trio Detox & Rejuvenation Cocktail into your program will make a positive difference in your health and vitality. To order the Detox Cocktail, Thermal Life Infrared Sauna and the Ionizer Plus, call: 800-794-5355 (US & Canada) or 303-413-8500 (Intl), MT. Ask for Emery at ext. 813, the High Tech Health International Product Specialist. She's friendly and knowledgeable and will help you with any health concerns you may have and which products are best for you. Tell her hello from me. Emery is the person I call when I have questions. She will help you get the best pricing and discounts, too. You'll get a whopping $300 off when ordering an Ionizer Plus, $500 off when ordering an Infrared Sauna, and $20 off when ordering the one month Liposomal Detox Cocktail for the first time. And, the best discounts are with the 12-, 6-, 4-, and 3-month supply of the Detox Cocktail. Mention my name ("SSJ") to get the discounts and FREE shipping. I've been talking a lot about facial skin, but, of course, the face is only a small portion of your body's dermis! To make every pore glow from neck to toe, try brushing your body with a natural bristle brush or loofah mitt eachday before bathing. The brushing increases circulation and sloughs off dead skin cells through exfoliation, giving skin a radiant appearance. The circulatory benefits also help your body eliminate toxins for overall better health. Most health food stores carry brushes appropriate for this task. Make sure your brush has natural bristles (as opposed to nylon or other synthetics) and a long handle so you can reach all those hard-to-get-places on your body. Start off very gently for the first couple weeks until your skin gets used to it. Brush in circular motions, always moving toward the heart. If there are patches of eczema, skin eruptions, or any other skin condition, avoid brushing the affected areas. Regular, vigorous exercise also supports healthy circulation and detoxification, with visible benefits for the skin. When you engage in aerobic activity such as brisk walking, jogging, cycling, hiking, swimming, or aerobic classes, it supports all of your elimination mechanisms at the same time. As heart and perspiration rates increase, you sweat and breathe more heavily and deeply. Blood and lymph circulation are improved. Exercise also stimulates the bowels to eliminate. Moreover, it releases endorphins that make you feel happier and less stressed. The skin takes on a rosy glow that no make-up artist could duplicate! If you aren't well rested, your skin will let the world know, because your face will appear pale, drawn, and blemished. Sleep is when most of the body’s “repair work” and maintenance are completed. Thus, getting deep sleep is essential for maintaining beautiful skin. While you sleep, blemishes are being healed and new skin cells regenerated. In fact, I think that there’s nothing more restorative for our bodies than getting ample sleep, night after night after night. Research suggests that even one or two nights of sufficient sleep (experts recommend eight hours) can lower levels of the stress hormone cortisol more than a number of other stress-management techniques combined. Granted, stress often interferes with sleep, but do your best to increase your chances of getting quality sleep by avoiding caffeine after noon, establishing a regular bedtime and wake-up time, and doing something relaxing in the hour before bedtime (no electronic devices!). Each day we need to drink at least eight glasses of purified water for proper hydration. Carry a reusable, earth-friendly bottle of water with you to encourage drinking more water. You can refill these bottles at home from a filtered or purified water source. I use and recommend the Ionizer Plus to create alkaline water because most toxins are acidic. Drinking alkaline water is one of the quickest ways to keep your body detoxified, and your skin glowing, even if your everyday diet is less than perfect. Click here for more information on the healing power of alkaline water and the benefits of using the Ionizer Plus in your home or office, as I do. Or to purchase immediately, call Emery at High Tech Health, their Product Specialist: 800-794-5355 MT, ext. 813, 8 - 5 pm. Scientists are finding that meditation helps keep us wrinkle-free and healthy. That’s right! Researchers have discovered myriad benefits to the ancient practice of meditation, many of which have a direct impact on skin health. Meditation can increase relaxation, lower blood pressure, decrease pain, and reduce secretion of stress hormones, including adrenaline and noradrenaline. All of these outcomes have positive benefits for skin health, as stress − just like sleep deprivation − always shows on the face. One study showed that people who had been meditating for more than five years were biologically 12 to 15 years younger than non-meditators! In these times of water and airborne pollution, toxic chemicals, heavy metals, and poor dietary and exercise habits, the therapeutic internal cleansing of regular sweating is critical to maintaining a healthy body and glowing skin. The easiest key to a good sweat is a sauna. Regular, effective, whole-body detoxification through taking far infrared saunas boosts the body’s ability to detoxify, leading to significant and lasting health benefits. Consider investing in a personal sauna for your home or office. The therapeutic internal cleansing of regular sweating is critical to maintain a health body and mind. I use and highly recommend an infrared home sauna called Thermal Life. Click HERE to get more information on how they heal the body and how to get a $500 discount on your purchase. Or to purchase immediately, call Emery at High Tech Health, their Product Specialist: 800-794-5355 MT, ext. 813, 8 - 5 pm. It may seem cliché to "stop and smell the roses" more, but research demonstrates time and again that simple pleasures can decrease our stress considerably and bring a youthful v itality. Unmanaged stress increases free radicals in your body, including in your skin, which then increases wrinkles and photoaging. Reveling in life’s simple pleasures at least once a day will not only keep stress and wrinkles at bay, but will also will enrich your life immeasurably. What brings joy to someone of course varies by the individual, but there are certain time-tested ways to approach life joyfully that are also proven to reduce stress and anxiety. Taking a hot bath brings down cortisol levels. A weekend away decreases stress levels and boosts immunity. Spending time in nature or with pets boosts mood. Laughter quells stress and activates the immune system. Your skin glows with joy when you put on a happy face! So now I return to the definition of “beautiful” that I introduced at the beginning of this article. 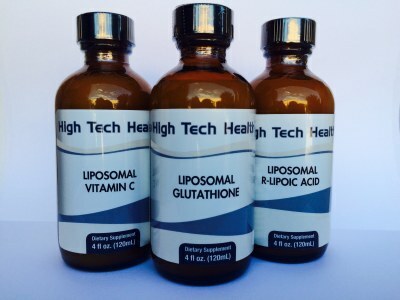 If being beautiful is literally filling oneself up with beauty and goodness, then I can’t imagine three more wholesome detoxification supplements to fill up on as described above in the Liposomal Detox Cocktail — Vitamin C, Glutathione, and R-Lipoic Acid by High Tech Health International. And the purified, alkaline water is another way to feed all of your 70+ trillion cells with goodness, balance, and wholesomeness. As supermodel Christy Turlington once said, "When you are balanced and when you listen and attend to the needs of your body, mind, and spirit, your natural beauty comes out." Consuming these nourishing superfoods of nature and living a more balanced, holistic lifestyle goes a long way toward giving your body what it needs; the mind and spirit are up to you! Visit my HOMEPAGE and sign-up for my FREE, monthly Healthy Living Newsletters. It takes about 15 seconds to sign up and these motivating, informative, and uplifiting newsletters are only for subscribers; the general public never sees them. When you sign up, you'll get a FREE copy of the full color, beautifully designed cookbook Conscious Cuisine and many other gifts from yours truly.